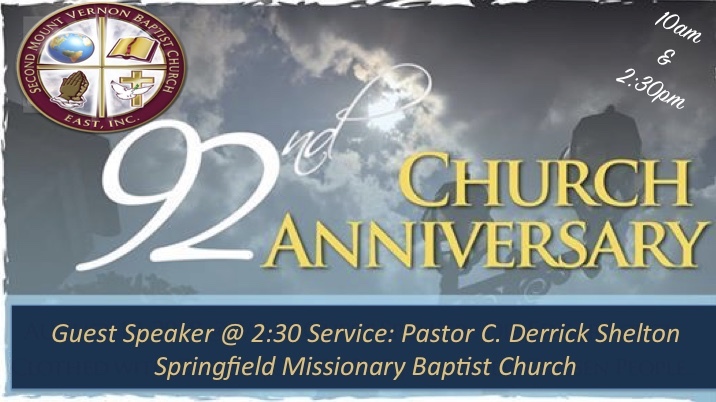 On Sunday, October 14th 2018 we will celebrate our 92nd Church Anniversary. Our colors are Navy Blue and Gold. The Anniversary assessment will be $92.00. Our Guest Speaker will be Pastor C. Derrick Shelton of Springfield Missionary Baptist Church. For more information please contact a member of the Event Planning Committee.